Any systems engineer or data operations professional knows that organizational data is highly susceptible to losses. As record counts and data quantity increases, so does the need for a database system to effectively manage this quantity of information. Modern database management systems have a number of advantages over more traditional approaches to database maintenance. Here are some of the benefits of using a database management system to handle the storage and retrieval of information in your database. Proper database management systems help increase organizational accessibility to data. In turn, better accessibility helps the end users share the data fast and effectively across the organization. A management system helps with getting quick solutions to database queries, thus making and data access faster and more accurate. End-users like salespeople will have enhanced access to the data, enabling a faster sales cycle and a more sound decision making. Implementing a data management system promotes an integrated picture of an organization’s operations. It becomes easy to see how processes in one segment of the organization affect other segments. Thus, effective integration of data is accomplished through the use of data management solutions. Deploying a database management system, assuming positive end-user adoption, will always result in increased productivity for the users. Data management systems empower the end users to make quick and informed decisions that can decide the success and failure of a company in a long run. With better data management systems and procedures, quality information is generated and the user is enabled to make faster decisions. A good database management system helps in providing a framework to facilitate data quality initiatives. In turn, higher quality information helps in making better, faster decisions in an organization. 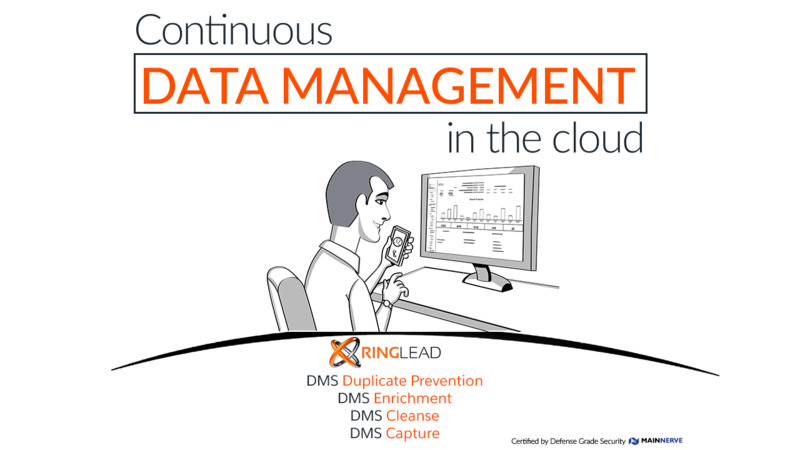 Want to see RingLead data management system in action and gain all of the above benefits of using a data management platform? Click the box below to schedule a demo now! PreviousPrevious post:10 Stats About Data Quality I Bet You Didn’t KnowNextNext post:What Are The Responsibilities Of A Data Quality Manager?